Composed by Eddie Lewis. Method, Etudes and Exercises, General Instructional, Technique Training. Individual Part. 112 pages. Published by Tiger Music (S0.183545). Do you need the structure of a daily physical practice but lack the time it takes to do a full traditional routine? Chops Express was designed for Daily Routines users who find themselves short of time and unable to commit to the full length routines. 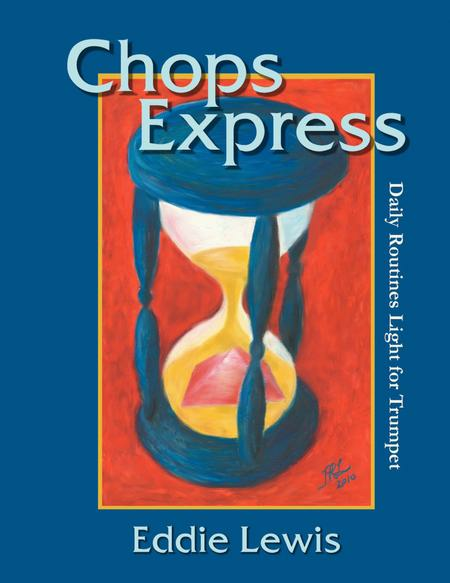 Just as the Daily Routines book does, the Chops Express routines conform to the Physical Trumpet Pyramid which outlines a very specific order of rudiments. 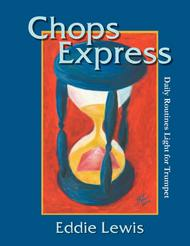 Practicing the Chops Express book gives you most of the benefits of the Daily Routines book in a fraction of the time. Click HERE for a list of approved trumpet teachers who know Chops Express well enough to teach it. who have better range than me. But using the Chops Express transformed me from missing top-of-the-staff G's to hitting high C's comfortably without any tension. The magic is in Eddie Lewis's rotation schedule, where you do varying levels of difficulty and it helps you build strength more reliably. I think the biggest realization I got from this book is that building strength is a gradual process. There's no shortcut and you won't see results in just a week, but by doing these routines every day, your brain will connect with your chops and you get familiar with playing the trumpet. And the routines just take 15 minutes a day. I highly recommend this routine book if you don't have a lot of time but want to build strength reliably.